The notoriety acquired by the Zapatista armed uprising in the mass media during its first years has diminished noticeably. The rebels have stopped being daily news. There is even one [representative of the media] which announces their extinction with approval. That, of course, is not true. 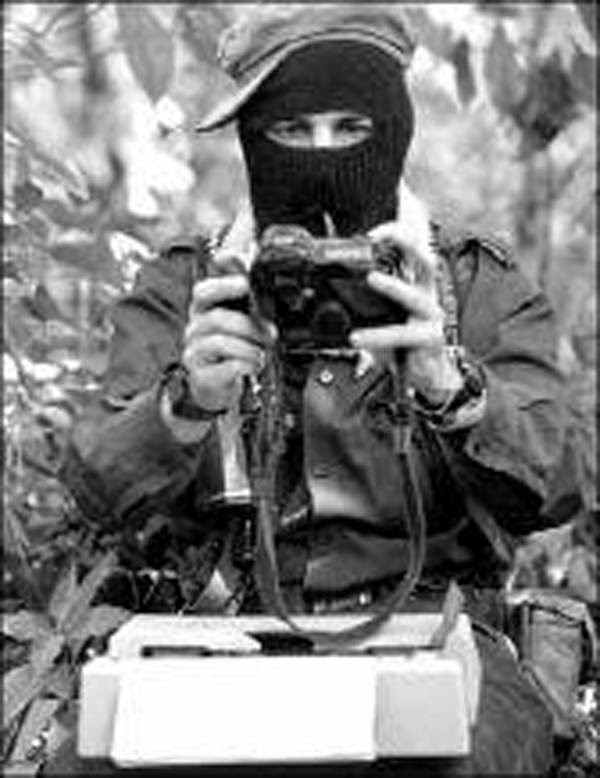 The Zapatista National Liberation Army (EZLN) continues to be a highly relevant political force inside and outside the country. However, the attention attracted by the glitter of their guns has been diluted by the epic of constructing from below, without asking permission and against all odds, another world. Many books, theses and reports –some of them very good– have been written about the indigenous insurrection in the Mexican southeast. Very few have elaborated on the rebel feat of constructing a government and a system of autonomous justice in the broad territory under their control. Although thousands of people have visited and lived in the Zapatista communities for varying periods of time, there is very little literature that tells of what happens there. Certainly, there are some very notable works that give an account of the vicissitudes of the rebel education project, of the experiences with collective organization for production on occupied lands or of the impact of the project for autonomy on the struggles of the indian peoples. Nevertheless, compared to the intellectual boom that accompanied the armed uprising, those who analyse and document the daily functioning of self-government are somewhat scarce. One of those [scarce] books is Zapatista autonomous justice: Tzeltal jungle zone, from Doctor Paulina Fernández Christlieb. It is not just one more work, but rather by far the most complete and documented investigation about the way in which justice is imparted in four Zapatista municipalities. Zapatista autonomous justice: Tzeltal jungle zone is a collective work done collectively, and which gathers the voices of the rebel support bases. Very far from a classic academic essay, the book makes a passionate radiograph of the construction of alternative institutions of government and justice, born from the bowels of the rebel communities, a counter-current to the logics of power. Those institutions, already present in the January 1, 1994 uprising and in the laws that it produced, started to take on a finished form because of a government betrayal. On 16th February, 1996, the federal government signed the San Andrés Accords on indigenous rights and culture with the Zapatista National Liberation Army (EZLN). However, the Mexican State as a whole (its three powers) betrayed its word and refused to convert them [the accords] into laws. Far from being intimidated, the rebels decided to put them into practice without the restrictions enforced by the negotiations. This is what they have done, above all, within the autonomous territory established on the thousands of hectares which were occupied at the beginning of 1994, and shared out to be worked for the collective benefit. Within this territory in dispute, three administrative spaces have been constructed: the communities, the Zapatista autonomous rebel municipalities (MAREZ) and the Good Government Juntas. Their responsibilities vary according to the complexity of the problems that each one of them must solve. This is where they exercise justice, needed not only by the rebels, but also, surprisingly, by those who are not [rebels.] Zapatista autonomous justice: Tzeltal jungle zone narrates and analyses this challenge. Paulina Fernández confesses that her book has a double purpose. The first is to show the ability of the Zapatista indigenous peoples to build a project of autonomous life in this contested space, one of government and justice, an alternative to those dominant in Mexico. The academic idealization of the finca is in fashion. Some studies present it as a “harmonious” co-existence between indentured servants and the owners of the land. Zapatista autonomous justice: Tzeltal jungle zone de-mystifies this vision through the testimonies of those who endured the savage exploitation of this unit of production, and of their descendants. From the humiliating experience of the life they left behind on the fincas, and from the abuse of women, were born the courage and the obligation to change things, the will to rebel against an order which was not only unjust, but also gave them no dignity. In the midst of an era of soft coups against progressive governments in Latin America, of a disenchantment with institutional politics felt among increasingly large swathes of the population, and of the deepening of the policies of dispossession against the commons, the experience narrated and analysed in Zapatista autonomous justice: Tzeltal jungle zone acquires enormous relevance. What the Zapatista bases describe in the book is not an abstract ideal to work towards, but another world that is right now being constructed. Zapatista autonomous justice: Tzeltal jungle zone is an essential book, for understanding not only what Zapatismo means today, but also what the struggle for emancipation could be. Note: The Tzeltal jungle zone corresponds to the Caracol of La Garrucha. The four Zapatista autonomous Zapatista municipalities are Francisco Gómez, San Manuel, Ricardo Flores Magón and Francisco Villa.